Photoelectric Smoke Detector EL-S11, Properly installed and maintained. 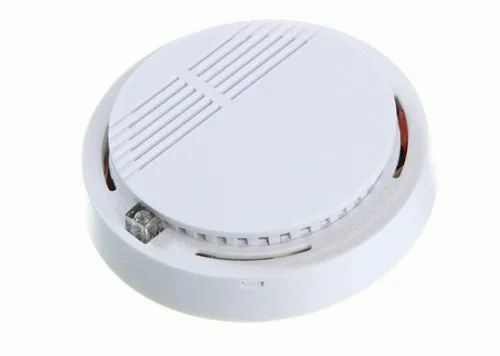 Residential smoke alarms, are one of the best and least expensive ways to provide an early warning when a fire begins. Smoke alarms save lives, prevent injuries and minimize property damage by alerting resident early to a fire hazard. Incorporated in the year 2014, we “Ecosens Lighting Private Limited” are a notable company that is engaged in trading, importing and supplying qualitative array of Carbon Monoxide Detector, Day And Night Sensor, Gas Detector, Microwave Sensor, Smoke Detector, PIR Sensor and Digital Timer Switch. Offered electrical products are manufactured in accordance with industry set norms from well tested components and sophisticated technology at vendors’ end. Provided electrical products are highly applauded by the clients due to their application specific design, low maintenance, easy usage, corrosion resistance and durability. As per the numerous needs of the clients’, we provide these electrical products in diverse specifications. Besides, our valued patrons can avail these electrical products from us in safe packaging material and at most reasonable rates.